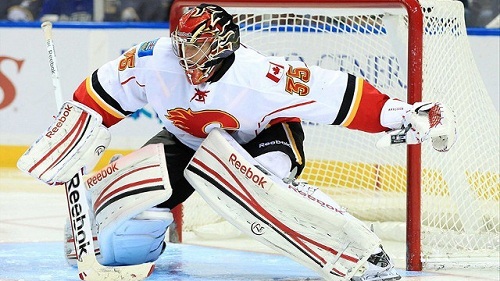 Calgary Flames goalie Henrik Karlsson has been traded to the Chicago Blackhawks for a seventh round pick in the 2013 NHL Entry Draft. For the second consecutive season, the Chicago Blackhawks made a trade with the Calgary Flames. This one may or may not have more of an impact than the first, when the Hawks acquired Brendan Morrison from the Flames. After a poor 2011-2012 season from Karlsson, his job as backup goalie was given competition with young net minder, Leland Irving. Irving was called up for a part of the 2011-2012 season and preformed quite well for the flames. After Irving beat out Karlsson for the backup goalie position during training camp, they did not have much use for him.